Nine Quarter Circle Ranch enjoys catering to families and offers babysitting for wee tots and staff to care for older children. 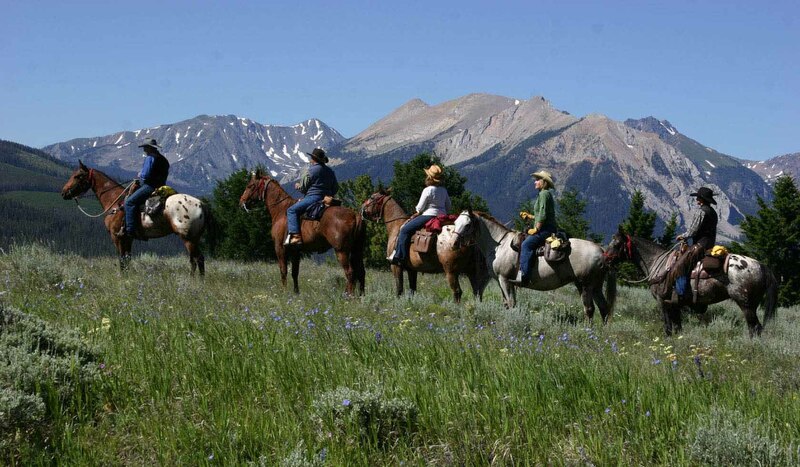 We have many activities on horseback and are famous for our spectacular mountain location, overlooking the northwest corner of Yellowstone Park. There is unsurpassed trout fishing, excellent family-style food and informal ranch living. Come enjoy our log cabins, pack trips, swimming, square dancing, barbecues, trout pond and private air strip with Unicom Radio. We have had the same family ownership for over 60 years. Come enjoy lots of horses, lots of cowboys and lots of fun!